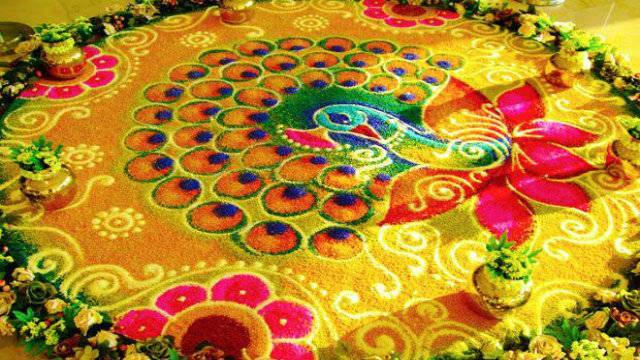 Indians decorate the floor of their home, work place etc. 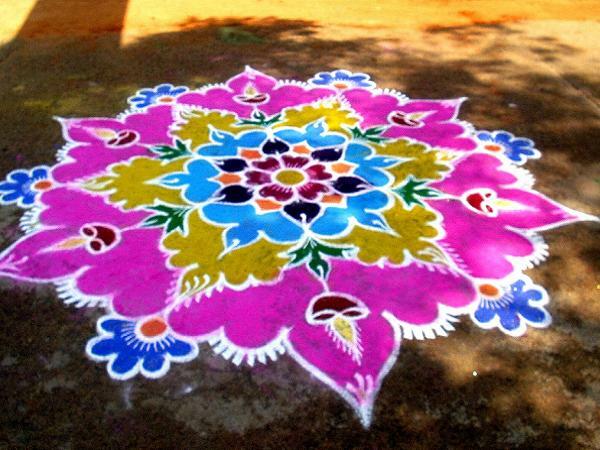 with colors and different designs for Poojas and various auspicious occasions. 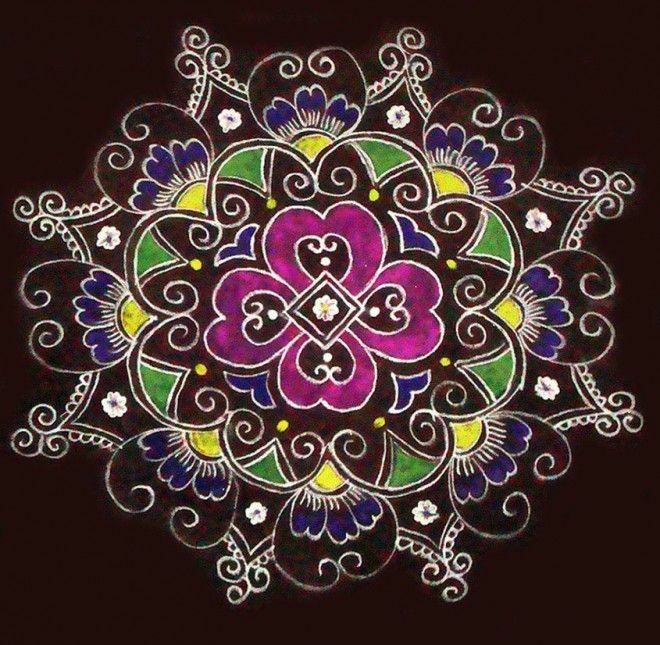 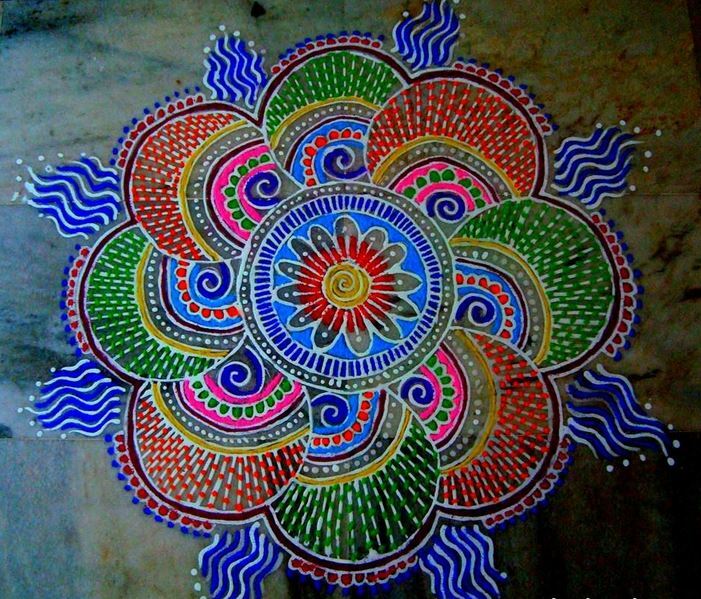 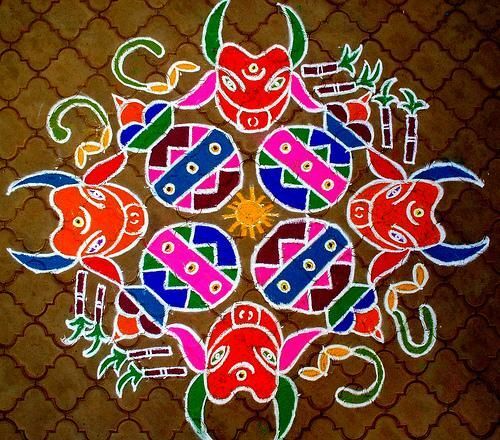 These designs on floor are called Rangoli in North India, Alpana in Bengal, Aipan in Uttrakhand, Rangavalli in Karnataka, Kolam in Tamilnadu, Mandana in Madhya Pradesh.